Catastrophic injuries of all types can strike unannounced and unanticipated, wreaking havoc on your personal and professional life and costing thousands, even millions, to treat. 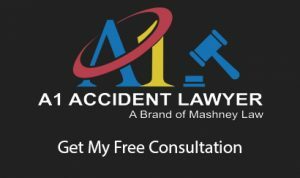 Anaheim catastrophic personal injury attorneys at A1 Accident Lawyer have guided many people to successful claims after a serious injury. We’ve helped injured people and their families secure the financial settlement they needed to heal and move on. Contact us today at (714) 535-5090 to discuss your claim. Simply put, a catastrophic injury is an injury that has long-term consequences and/or requires significant medical treatment. The causes can vary from examples like a gunshot wound, car accident, medical malpractice, or head trauma. Common injuries include traumatic brain injury (TBI), neurological disorders, spinal cord injuries, bone fractures, or severe burns. Though these types of injuries can be quite diverse, they have a common thread. Catastrophic injuries require extensive and expensive medical treatment involving diagnostic tests, hospitalization, and specialist intervention. Physical therapy, vocational rehabilitation, and psychiatric treatment may be required to make any type of a recovery, and many victims never recover at all. That’s why its so important to seek justice for catastrophic injury victims who may lose their quality of life in an instant due to the negligence or lack of concern of another party. Who is Liable in a Catastrophic Injury Case? What Kind of Damages Can be Awarded in a Catastrophic Injury Claim? Home and vehicle modifications (such as wheelchair ramps and wheelchair lifts). Loss of career or earning capacity. Mental anguish and emotional duress. Damages for loss of enjoyment of life. To find out exactly what kind of damages you can claim in your case, its important that you consult an experienced Anaheim personal injury lawyer. A legal professional may be able to examine the specifics of your claim and point out potential damages you had thought of. If you or a family member is injured in a Catastrophic Injury, you need to contact an experienced attorney in Anaheim. The legal team at A1 Accident Lawyer will see that you and your family gets a just settlement that covers your losses. Call (714) 535-5090 today for a free consultation.